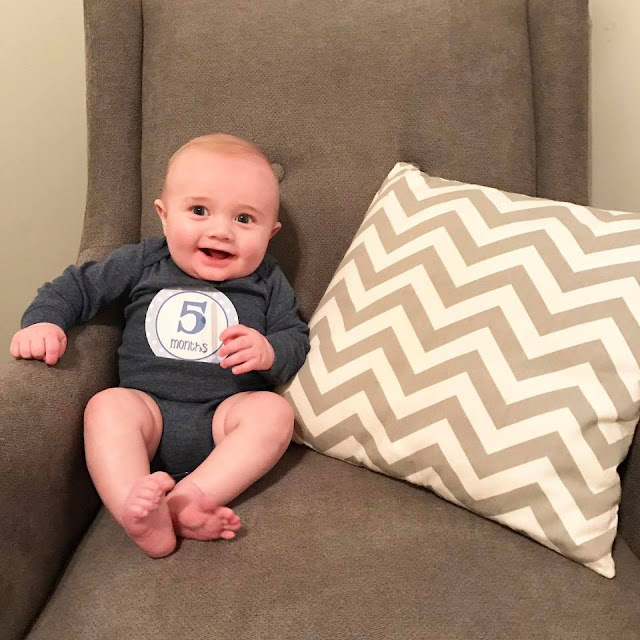 Shep turned 5 months old on February 7th! 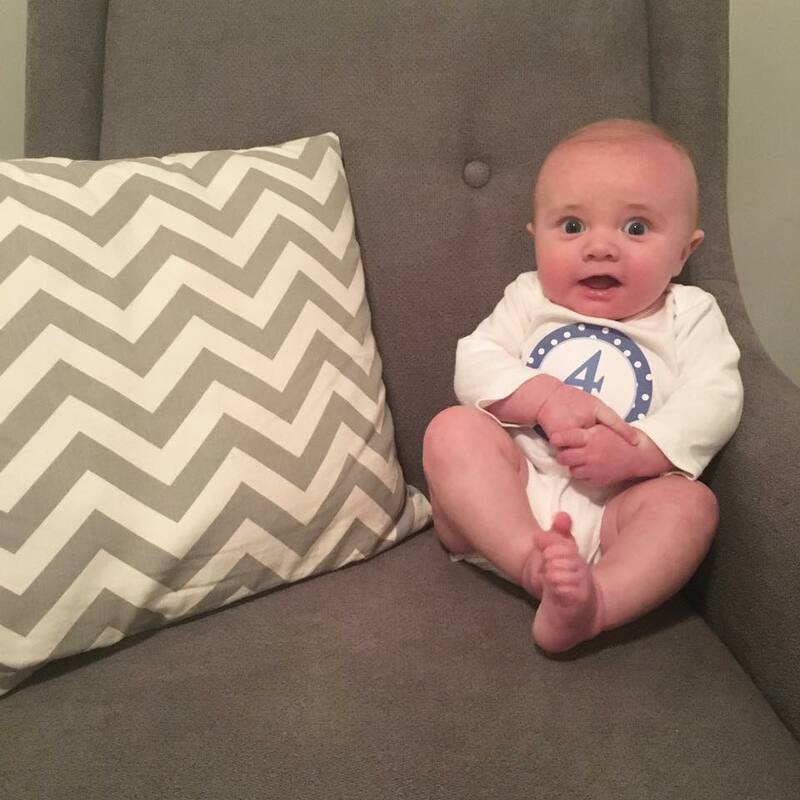 Clothes: Shep is wearing mostly 6 months clothes. I had to go out and get him a bunch of basic pieces (onesies, pants) to last the rest of winter since BT's 6 month clothes were all summer. It was actually one of the first times I went shopping specifically for clothes for Shep since up until now he has had plenty from his brother. Sleeping: The past couple of weeks Shep's sleep patterns have been terrible. 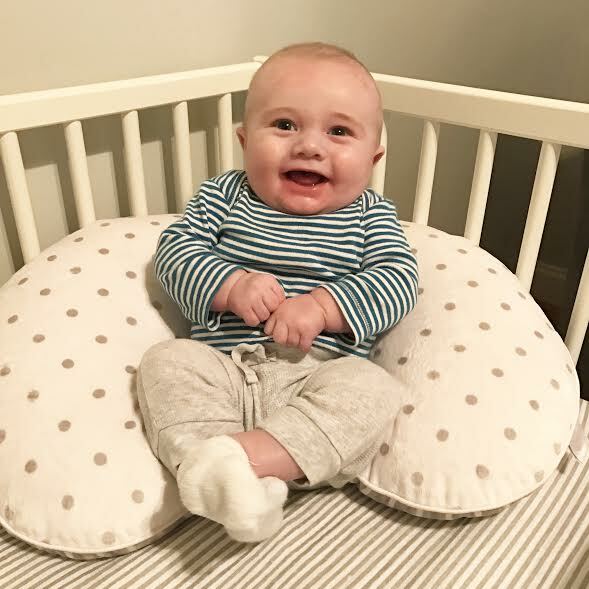 I am blaming the 4 month sleep regression but also eczema. Poor Shep is just so itchy at night! His skin looks great, but for some reason his scalp really bothers him when he's trying to sleep. He has started sleeping in a regular sleep sack but we have to put socks on his hands so he doesn't claw at his head. We put Shep down for bed around 8:00 but by about 11 or so he is in our room for the rest of the night because of how much he keeps waking up because of his itchy head. We're praying as the weather continues to warm up his eczema will continue getting better and let our little guy get some relief. Likes: Shep is the biggest mama's boy. He would love nothing more than to be snuggled up with me at all times. He also loves his big brother, eating, and playing with his ferris wheel toy. 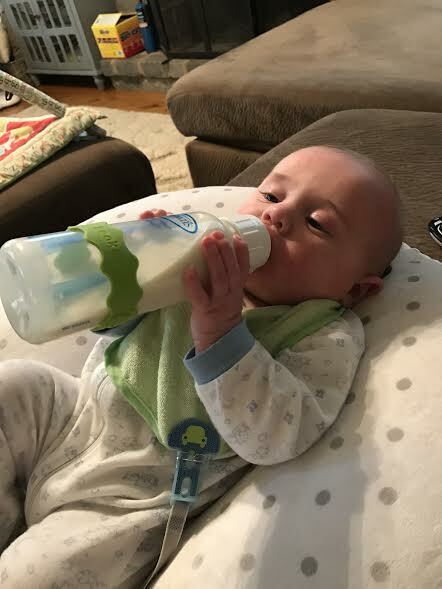 Eating: Shep eats five 7oz bottles of Alimentum Ready to Feed formula a day. 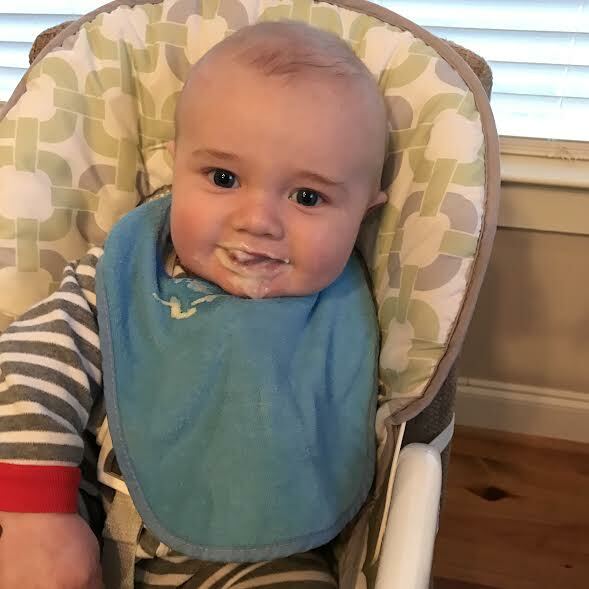 He has also had a few tastes of rice cereal, which he actually really liked! We are starting to make some baby food for him this week to try out this weekend. First up, butternut squash! I have no doubt he will love it. Baby items we can't live without: Exersaucer, Sit-me-up seat, Aveeno lotion and SOCKS for his hands ha!